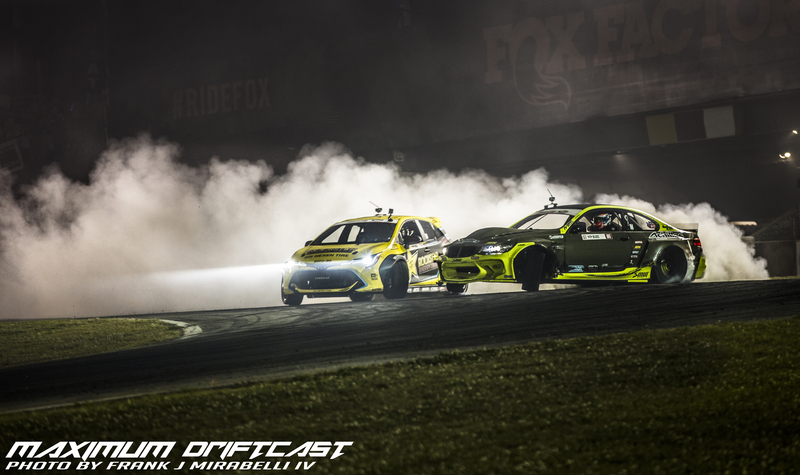 Whenever an FD driver is questioned as to what their favorite event is of the Season, far more often than not, their response is Atlanta. As fans of the sport, we hear it repeatedly, “Atlanta is the best round” “Atlanta has the best fans”. Well, it was time to make the journey and see what all this talk was about. Being a Seattle native and living, literally, just 7 miles from Evergreen Speedway in Monroe, I obviously have a bias to my home facility that I love dearly. However, I am here to lay those down and tell you what FD Atlanta is all about. Seattle may have the best backdrop, with Mt. Rainier and the rest of the cascades peaking over the bank, but Atlanta clearly has the most amazing facility. I have been a racing fan all my life, which has led to this vision of what Road Atlanta is. Watching sport cars take the hills and massive drop on to the main straight is impressive on TV, in reality it’s 10 times more impressive in person. I have been to many facilities around the world, from the F1 circuits in Monza Italy and the streets of Singapore to top end Karting Facilities of USA International Raceway in Wisconsin and PARC in Oregon. 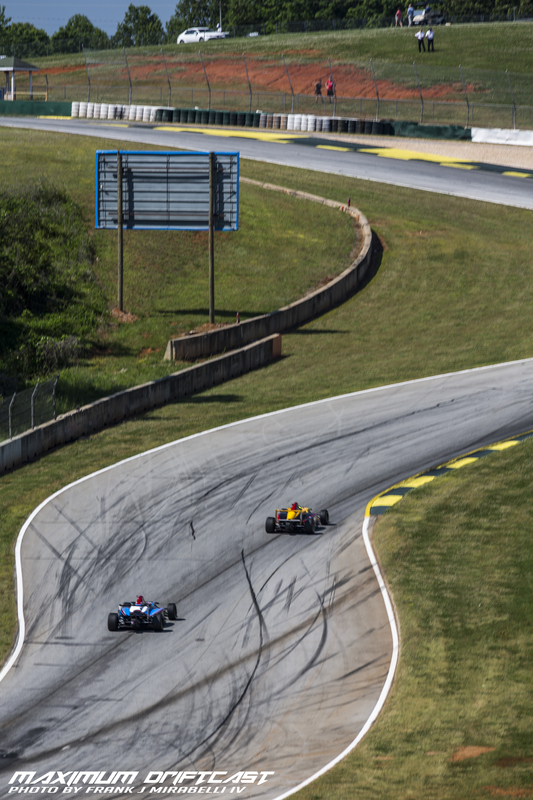 Nothing in the world is more impressive than the massive hills and amazing turns of Road Atlanta. 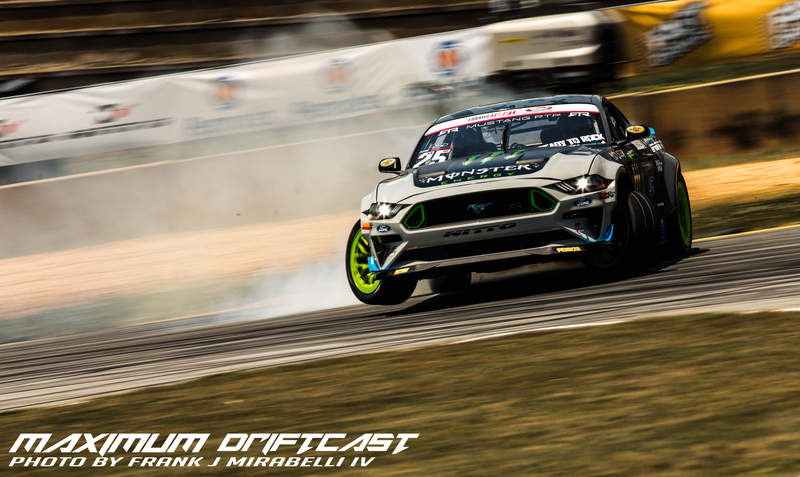 Now that I got some of the Grip Racer praise of the facility out of the way, let us get to what Road Atlanta has to offer to Drifting. Character and amazing viewing for all. Plain and simple. 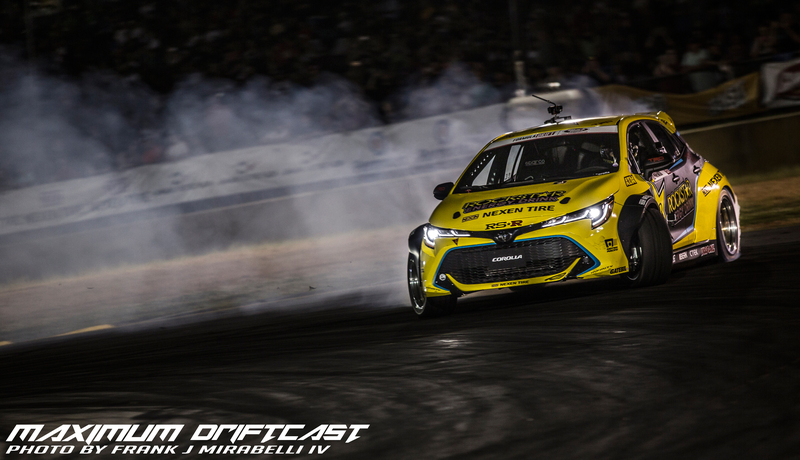 To some of the die-hard fans we may have found FD a bit stale in the sense that we race at so many ovals which creates similar course layouts from round to round. 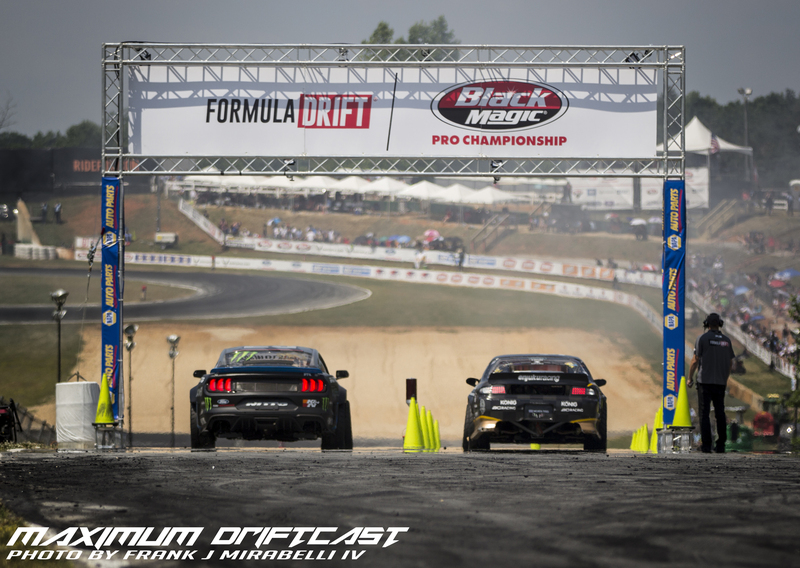 Long Beach and Road Atlanta give us road courses that challenge the drivers beyond the norms and give fans exciting and fun viewing angles. Road Atlanta gives you a bowl effect with seating nearly entirely all the way around the course, but it’s not a circle track. 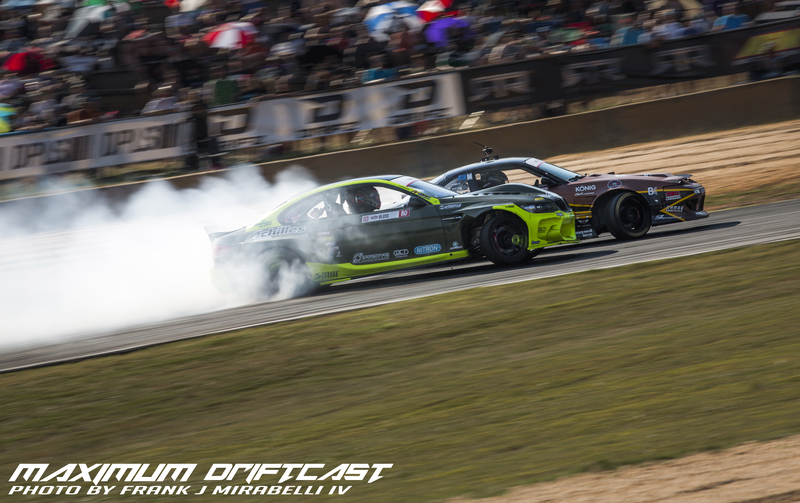 The drop into FD turn one and the uphill entrance into the Keyhole make for crazy exciting tandems where skill is on full display. Furthermore, turn 1 of the FD course gives you that door banger feel that grassroots facilities are becoming famous for. To me it felt like I was watching Super D at Grange, only with an even more insane speed. 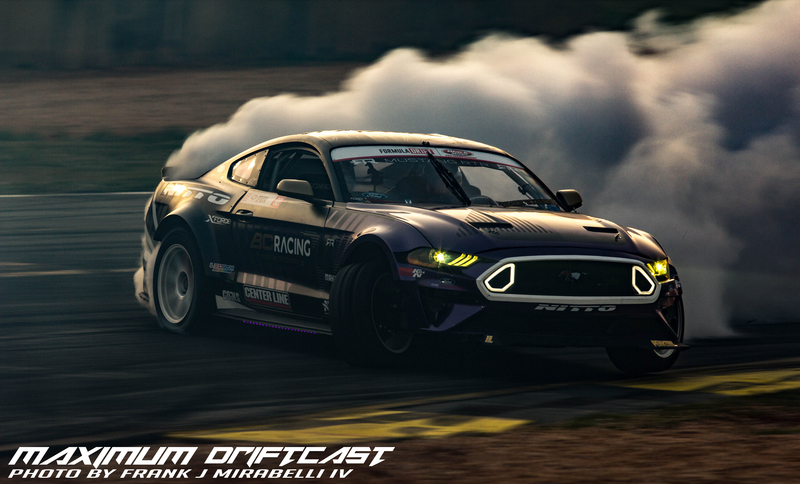 However, FD does not give you points for throwing a “backie”, but you certainly earn street cred among the fans. Taking the grass roots feel even further, the Keyhole brings the cars within mere feet of the fans that are fortunate enough to have booths under the judging tower. Ever since they took away the hairpin at the end of Seattle’s track, I don’t think there is a viewing spot in FD a fan can get closer. To top it off, the event runs into the late night, the sun goes down and it is a sight to see. As a photographer, we love shooting golden hour and that is obvious by the fact the majority of my pictures were taken then, or at night. Which brings me to why I have come to name this article what it is. 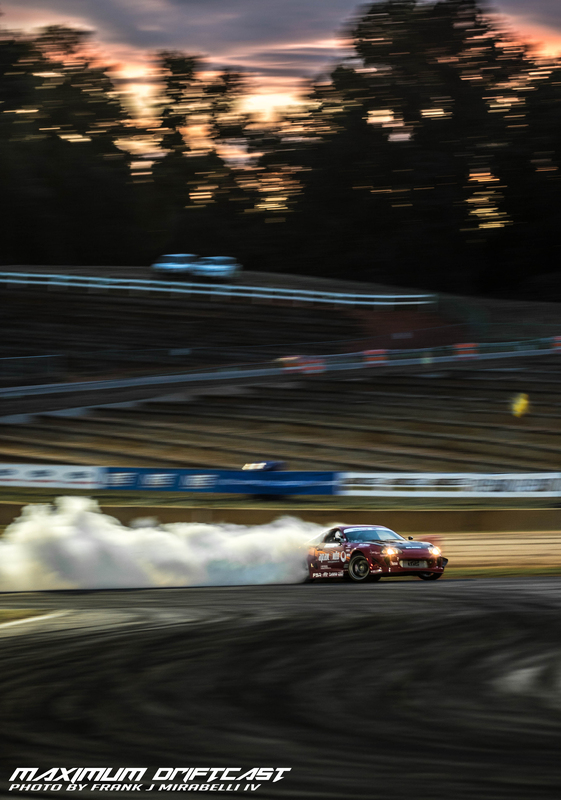 Irwindale may be the House of Drift, but without question, Atlanta is the Soul of Drift. On top of all the character the facility has, it really comes down to the fans, plain and simple. Most get to the facility in the early morning when the gates open, many do at other events as well, but what makes this an impressive thing is that the gates open at 7am; Top 32 does not start until 4pm. This is because of the other, what I would call “support series”, that have the track for the morning. Both Global Time Attack and Formula 4 open wheel series are present for the entire weekend, which it seems no one outside of Atlanta fans even knew about. Between GTA, F4, FD Pro2 and Pro, you can literally watch racing from 8am until midnight for three straight days. 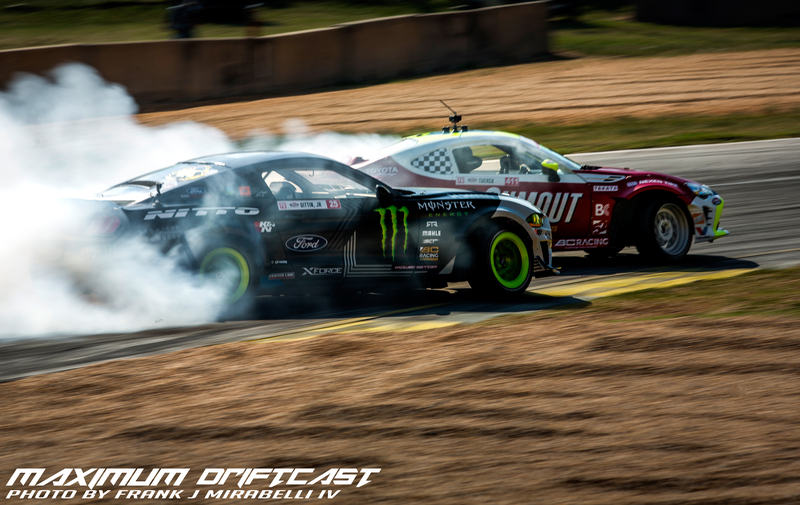 FD should investigate a way to get other motorsports involved as support series if they can. But once again the Grip Racer in me needs to digress, let’s get back to the fans. So the FD fans get in at 8am and set up camp, literally camp, for the weekend. They are in the hills all around the track and in the parking lots. Seattle once had a great campground but even at its peak, it can’t compete to the level the Atlanta fans take it. Fans camping out and being at the track all day, what makes them so great? Why do we keep hearing driver after driver praise the fans at Atlanta? It’s because they care. They bring a personal touch, a vibe, a soul to FD. They have been the most educated fan base I have interacted with. Despite the massive amounts of partying that goes on, Atlanta fans are somehow both the most rowdy but also the most civil I have ever encountered. I didn’t see or hear about any fights or any other mishaps. 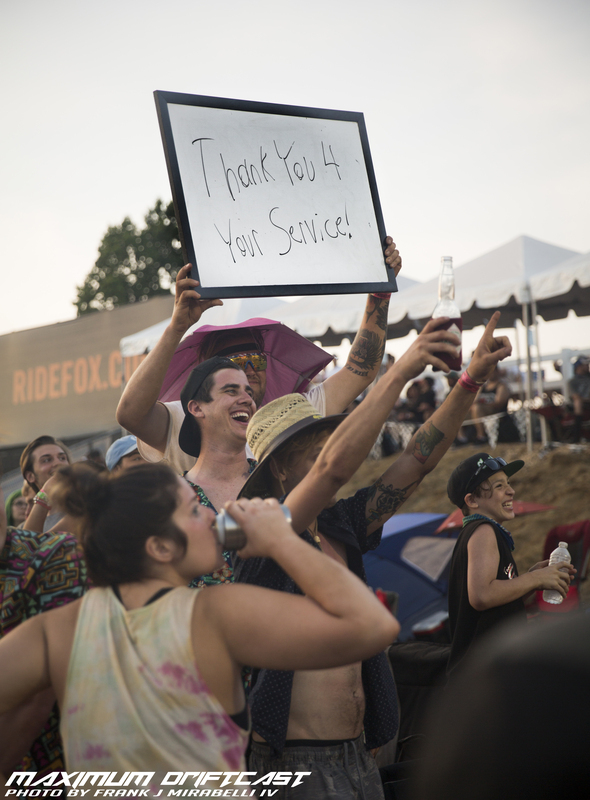 We know the best and worst part of FD is the fans. We have all heard it. So sure, you have some bad apples, burnouts in the parking lots and other general rowdy behavior. But in Atlanta it’s embraced and they all keep the really dumb acts to a minimum and have fun with the rest of the shenanigans. When you see people passing out poster board and markers for fans to write signs, when you see some of the funny props fans bring in, it’s hard not to have a laugh. Sure most of it is juvenile things, but hey, if you can’t let your inner kid laugh at some of the jokes, then I feel sorry for that kid locked in your head. Okay so Atlanta fans are passionate about the sport, passionate about having fun, but beyond all that, they are also passionate to their fellow human beings. Here is where I was touched, where the soul comes from. As I said I am a Seattle native, 90 degree weather with 90% humidity, I am basically going to end up in the hospital after 3 straight 16+ hour days at the track. Yet I walked away from the speedway Sunday night, still conscious and actually left with still a bit of pep in my step. I have to thank all the fans along the fence line that offered me drinks and food to keep going so I didn’t have to leave the track and potentially miss any noteworthy on-track action. They would see me lugging around all my camera gear and offer me rides in their golf carts. Even beyond their generosity and kindness, their southern hospitality went to the next level, a personal level. They wanted to know more about me, some random person wearing a baby blue vest. They asked me about how I got into photography, how I got involved with FD, my hobbies, if I am going to be back next year, and more. I spent hours talking to fans all around the track. They are the reason this article about an FD race turned into some kind of touchy article about nice people. But, you know what, that is what the drifting community was built on: Friends hanging out into the night and everyone helping each other fix cars to keep going. Keep driving and keep having fun. They kept me going and we all kept having fun. 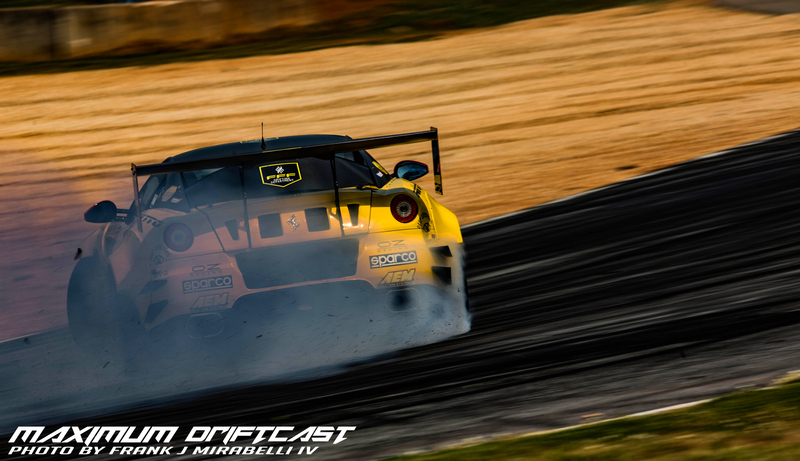 That is why Road Atlanta is the Soul of Drift. Frank is the owner of FSX Photography, specialized in outdoor photography from automotive, to landscapes and modeling.